Shopping for a new Chrysler, Dodge, Jeep, Ram can be frustrating at times, like shopping for any new car can be. 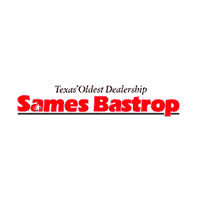 At Sames Bastrop Chrysler Dodge Jeep Ram, we want to ensure you get the best deal on a new RAM or Jeep model. With our rotating selection of new vehicle specials near Bastrop, you know you’ll be getting a great deal. View our inventory below, and contact us today with any questions! With our wide selection of Chrysler, Dodge, Jeep, Ram lease deals and finance offers, you can drive home in that new RAM 1500 or Jeep Grand Cherokee you’ve had your eyes on. Once you’ve looked through our current Chrysler, Dodge, Jeep, Ram offers, come visit our dealership near Del Valle to get started. Before stopping in, you can get your finances in order using our online pre-approval and even determine your monthly payments with our online car payment calculator!